How do you show responsibility for the future? 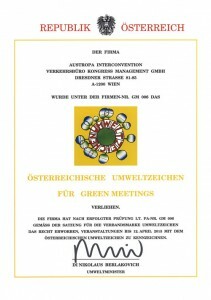 With the Green Meeting certificate. 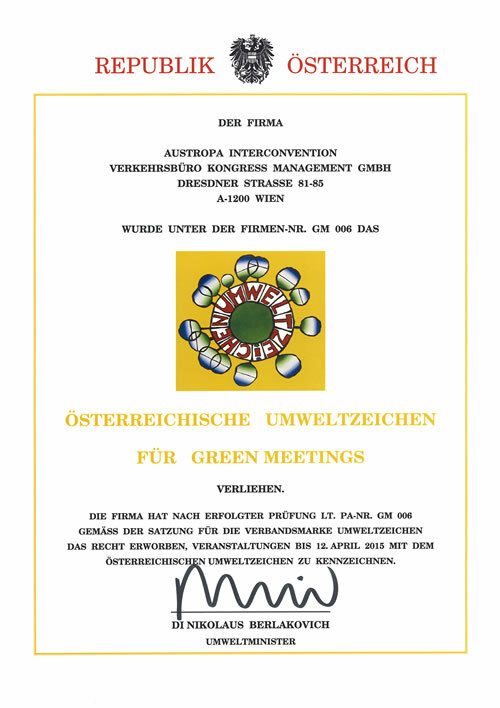 The events of recent years have made environmental protection not just a subject that crops up time and again, but an international concern. At home, your guests can do everything necessary to protect the environment. But as congress attendees their hands are tied. 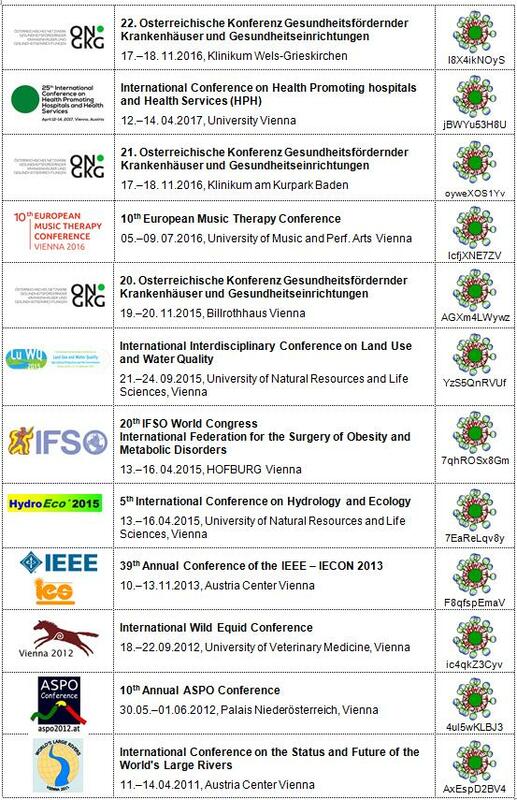 If you want to set an example with your congress or for your company and your guests, we would be happy to help you. 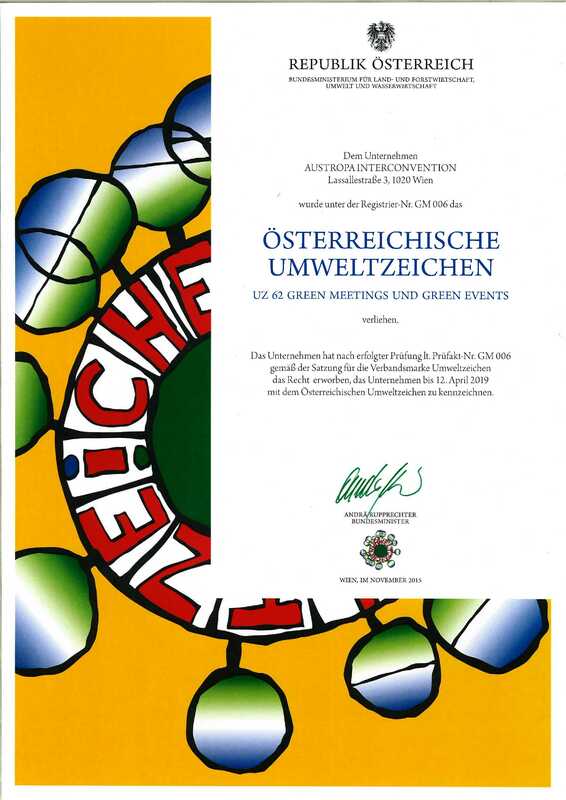 As a licensed company, we can advise you on setting up your event to meet the criteria of the Austrian “Green Meetings” eco-label and make your congress or event a model of sustainability and responsibility.